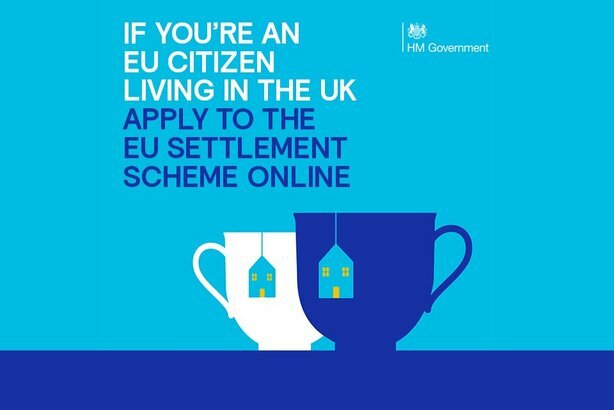 Launched this week, just a few days before the government’s EU Settlement Scheme opens for applications on Saturday (30 March), the campaign’s core message is that EU nationals need to apply to the scheme if they want their rights to be protected. The month-long marketing campaign, costing £3.75m, will display posters at 6,000 sites across the country. The Home Office claims the outdoor advertising will be followed by "eye-catching adverts on catch-up TV, radio, social media and online once the scheme is fully up and running on Saturday 30 March". Further activity is planned over the next two years to ensure EU citizens understand what they need to do, according to the government department. Immigration Minister Caroline Nokes said: "It is my priority to make sure that EU citizens, who have built their lives here and who have contributed so much to our society, continue to feel welcome in the UK. That is why I am launching this UK-wide campaign, which will include billboards and radio advertising, so that everyone who is eligible knows how to apply and gets the status they need." She added: "I want EU citizens to stay and to continue to call the UK their home and I would encourage all EU citizens to apply once the scheme goes live." But the posters unveiled this week do not state that that EU citizens living in Britain have to apply to have a chance of being allowed to continue to live and work in the UK after 30 June 2021. There has been a furious response to the Home Office’s campaign. Ellie Knott tweeted: "This makes me so ashamed to be British. To call this my government using this banal/hostile environment settled status BS is enraging. What are these cups of tea doing with their teabags?" Meanwhile, Lucia das Neves commented: "Whilst I'm glad that the gov is trying to make sure non-UK EU citizens know to apply for #settledstatus I find it gut wrenching seeing these posters… people having to apply for rights they already have, in the case of my mother since the early 70s." And Paul Malyon said: "This is shameful. Making my wife and mother of my children 'apply' to stay in a place she has been paying taxes to for over a decade without any say in the process that's resulted in this embarrassment to our nation."